A book purchase for a private person is often “forever”. Many of us adore books and enjoy simply having them around, to browse at leisure or to be coffee table vanities reflecting our intellect and taste. Although academic books may be loaned more than favourite novels, books borrowed from private collections are cared for. The opposite is true for institutional libraries, where books come to die. Popular fiction and academic course books must be purchased in bulk because borrowers abuse them and, quite quickly, their dog-eared condition renders them unusable. Ten loans are all that it takes for a book to be replaced. If a book is extremely popular, a library might plough through shelf-meters of that book in a year. This is good business for whoever supplies the books. Whose book is it, and for how long? The infinite volume production and durability of e-books are problems for the publisher/retailer. In response, they apply restrictions. An e-book might be downloaded [loaned out] to only one reader at a time; an e-book may self-delete after set number of views; an e-book might simply cost several times more than the printed version. In some cases – a combination of all these restrictions may be applied. Two mechanisms make these restrictions of use possible. DRM software forms the practical side. Legally this is possible because libraries, in fact, don’t own their e-books. 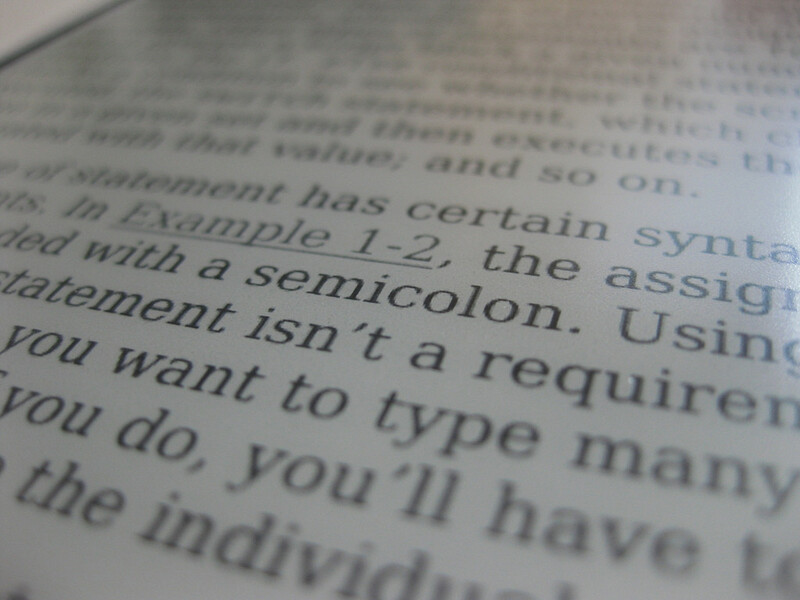 Since any use of digital information technically creates a temporary copy of it, different copyright rules apply to e-books. At their core is a licensing system, in which the ownership of an e-book does not change hands at purchase. When an e-book is “bought”, it is in fact licensed for a predetermined use. The ownership, and thus all related rights, will remain with the copyright holder – the publisher. The forms of use are always definable by the true owner, and thus libraries can’t unilaterally decide, for example, to keep a permanent archive copy. Electronic merchandise is a blessing for niche markets. Importing a single piece of exotic fruit from somewhere like Tahiti for a single, discerning customer is a bad business strategy. Unit prices soar, and each day the single customer does not buy ends with a 100 % loss of revenue. An e-book, however, is always in stock, in unlimited numbers and with practically no storage expenses. In the publishing industry, selections of older printed books kept in stock are called backlists. Typically a publisher’s backlist consists only of select books that are in steady demand: classics and widely used course books. If a book is out of print and not on the backlist, it’s either available from a second-hand dealer (i.e. a used book-shop) or not at all. That was the case prior to the emergence of e-books. The introduction of e-books expanded publishers’ backlists to practically everything that was ever made into an e-book. This exponential expansion of e-book inventories naturally invoked the desire to sell all that is sellable. The problem is that a lot of the newly introduced e-books were absent from the printed backlists for a reason, the lack of demand. If there’s one thing that increases sales of low-demand merchandise, are notable (multiple) sales. ‘Bundled-sales’ is a marketing buzz-word! Publishers have begun bundling large segments of their e-book backlists, the good with the bad, and offering them at wholesale (discount) prices. Getting an e-book for half the usual price would be a good deal, unless that deal includes five other, unwanted, e-books. The Big ‘supersaver-bundled’ Deal ends up being bigger than needed in both volume and price. Ville Manninen is a doctoral student at the University of Jyväskylä.